Product categories of Clean Machine, we are specialized manufacturers from China, Clean Machine, Stencil Cleaning Machine suppliers/factory, wholesale high-quality products of Pneumatic Cleaning Machine R & D and manufacturing, we have the perfect after-sales service and technical support. Look forward to your cooperation! 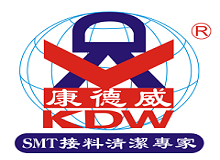 MT Clean Machines are KDW collection of SMT off-line cleaning solution machines that provide great help for cleaning various SMT production usable items. SMT items such as PCB, PCBA, SMT items, and fixtures that requires intensive cleaning and maintenance to keep SMT production flow MT Clean Machines includes Automatic Nozzle Cleaner, Pneumatic Stencil Cleaner, Aqueous Stencil Cleaner, PCBA Cleaner and Fixture Cleaner machines. MT Series Clean Machines are made from high quality and original branded parts to provide effective cleaning action And help prevent damages to materials that it intended to clean. For more information about MT Series Clean Machines,You are always welcome to contact us or you can also visit our official website to learn more about the products and to see our product catalogs.